Weigh in – Should Dejuan Turrentine Quit His Day Job? There are some artists that we are naturally drawn to. No matter the topic of the song we find ourselves bobbing our heads and singing the lyrics as if we wrote them ourselves. DeJuan Turrentine is one of those artists and one who is soon to have the hearts of young and older fans alike. A California native and the nephew of the great jazz saxophonist Stanley Turrentine, the 24 year old, soon to be sensation has been around music his entire life. From the earliest memories of Jazz and R & B to later bumping’ sounds of Hip-Hop with his brother’s group “Quo” who were once signed to Michael Jackson’s label MJJ; he has grown up learning the trade, watching and waiting for his turn to show the world what he can do. Relishing in the music industry since day one DeJaun is ready for stardom and groomed for success. As a young-teen DeJuan attended various acting, schools, landing him national leads for top companies including: Sprite and Reebok .With his leading man looks, he also had dominant roles in the Milos Forman/Norman Lear feature film “Way Past Cool”, the Leslie Small “A Good Man is Hard to Find” and the Paramount Pictures film “Down To the Last Minute.” Acting, modeling, song writing and recording are all loves of DeJuan, but his true passion is recording and performing live in concert. Since the age of four , he has been entertaining at churches, high schools, beauty pageants and Black Expos gaining praise everywhere he went. Reflecting on his past experiences in the music industry DeJuan knows that he is blessed to have made it this far. “I’ve been through the blood, sweat and tears of this industry and still I stand,” Dejuan reflects. Having two record deals fall through, he has been inches away from the success that is without a doubt calling his name. DeJuan has been influenced by artists spanning R&B, Pop and country music including: Patti Labelle, Michael Jackson, Luther Vandross, Stevie Wonder, Prince, Garth Brooks and Whitney Houston. While he has yet to be seen on the music scene, he has certainly been a behind the scenes writing for top icons Usher and Whitney Houston to name a few. 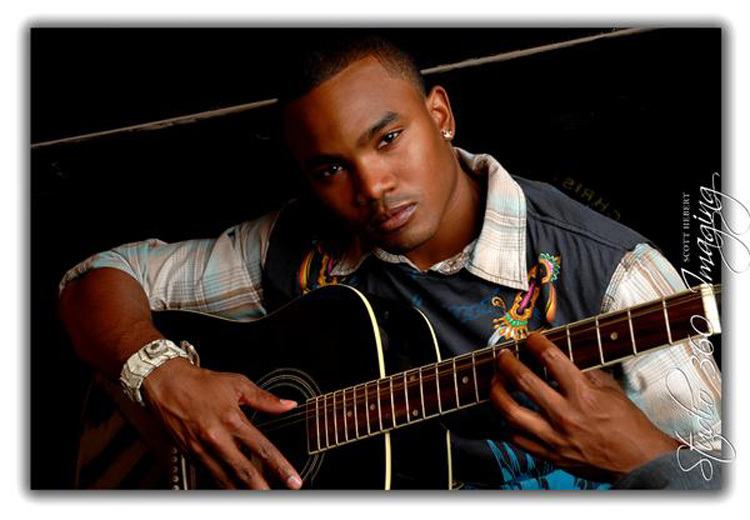 The songs written by DeJuan, show he is multi talented, possesses a smooth vocal style matched with dynamic range. With his stunning good looks, hypnotic voice, electrifying dance style and his off-the-hook charisma, this star is ready to shine. Writing is not the only talent he possesses, a classically trained pianist Dejuan is a true musician. Along with his brother Dejuan has also mastered the art of production. Blaque Roze, the duo’s production company is currently working on the first single for new artist J Blue featuring Snoop Dogg, signed to Universal and Lil Jon’s new album amongst others. Such a heart, such a writer, such a talent is the man, the artist soon to be music sensation Dejuan. So get ready world here he comes, he is sure to be added to the influence list of artists to come and the hot list of fans everywhere. *BONUS* Dejuan recently composed the following song for Haiti… since we were late with his post we’d figure we’d give him a little extra promotion. Enjoy! Very few internet sites that happen to be in depth below, from our point of view are undoubtedly effectively really worth checking out. What’s up colleagues, how is the whole thing, and what you would like to say concerning this piece of writing, in my view its genuinely remarkable for me. clear your mind before writing. I have had difficulty clearing my thoughts in getting my thoughts out there. them are rife with spelling problems and I in finding it very bothersome to tell the reality then again I will definitely come back again. Hello mates, its enormous post about educationand fully defined, keep it up all the time.